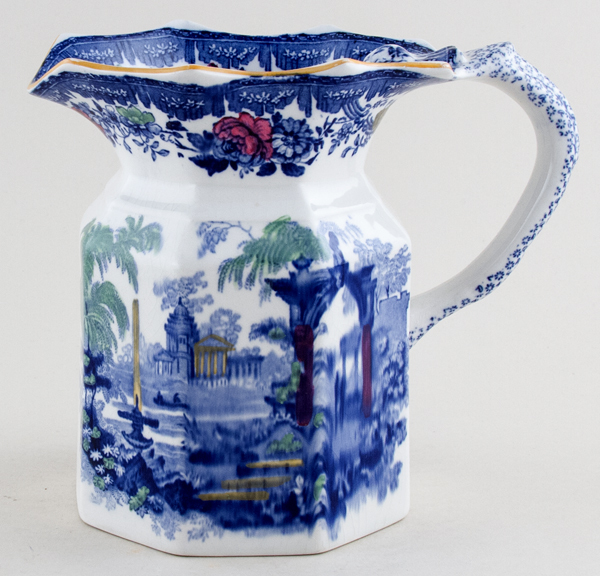 Fenton style jug with octagonal body and moulded detail to the handle, gorgeous floral border and ochre rim. Backstamp: Ashworth Bros Hanley England. Light all over crazing with a little minor discolouration inside. There is a little minor damage under the foot which just peeks through and on one side part of the pattern is quite blurred.